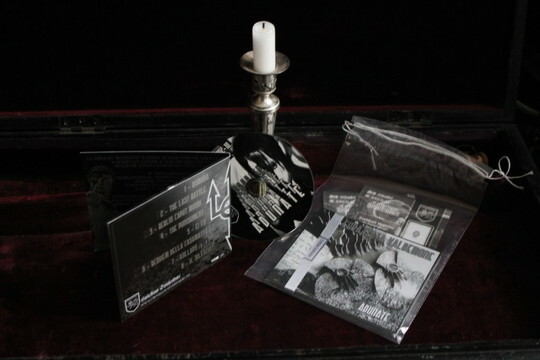 CDr in soft digipak + cord and banderol in plastic bag + flyer, is hand-numbered and limited to 100 copies. Info: Gabriele Fagnani refers to the project itself, as totalitarians Industrial. this album "adunat" falls sharply in less time than we expect from him and has to "collapse" even a melodic work, which would be attributed more to the martial. "We can resist, we must resist!" is one of the urgent messages that the listener with dark ambient sounds, noisy elements, samples and many of his distinctive voice will be taught. A highlight of the album is without question the 14 minutes remix of his previously most powerful piece, "Berlin Caput Mundi". 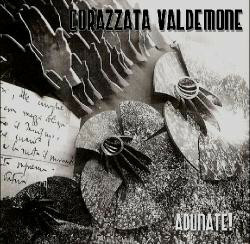 Customer evaluation for "Corazzata Valdemone - Adunate CD (Lim100)"